The BEST Dentist, and Dentist Office on the planet! – Bar NONE! I had always avoided going to the dentist before I met Dr. Riechers and her staff. 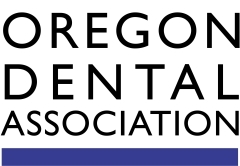 Compassionate Dentistry in Grants Pass, Oregon is a one of a kind dental experience where you’ll be eager to schedule your next visit, and happy to arrive knowing there will be very little to no pain at all. I recommend Dr. Riechers and Compassionate Dentistry to EVERYONE. You’ll be glad to know them too! Compassionate Dentistry has the most caring staff! Procedures and options are clearly explained. I have had crowns and fillings with great results. Dr. Sara is so gentle. All my experiences have been painless. The best dental office ever! Sara Riechers is GREAT! I was a little worried -as I’d never had a root-canal done before.I’d heard horror stories.I told my work that I hoped to be back to work the next day. Sara was so gentle that I went right back to work, being gone for only 2 hours total! Sara went over all my options, and is really easy to understand. She’s great with kids.! They do digital X-rays too- how cool! Compassionate Dentistry says it all. Dr. Riechers is the most knowledgeable dentist I have ever met! She takes time with each person to make sure you understand all options. Great with patients and does fantastic work! This dentist office is so easy, comfortable, relaxed….almost fun even! 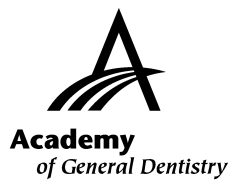 The entire staff is professional, competent and trained in state-of-the-art dental practices. They are gentle, caring and take the time to make sure the patient understands procedures and options. Hard to believe there is a better dental experience anywhere! Had an estimate from another dentist in town to fill a cavity at the base of a crown $1000. Was charged $153 at Dr. Riechers’s. Yes, $153 (no missing zeroes). Was $170, but with cash/check discount was $153. Sarah [is an] awesome employee. Glad to move my family to Dr. Sara Riechers!!!! I was really scared to go in after not seeing the dentist for 20 years but they were amazing! Everyone there is super nice. Best dentist ice ever been to. My wife and I both loved the staff. They made going to the dentist as pleasant as it can be. Best dentist and staff. Don’t propose work unless it’s needed. Another dentist in town told me I needed $6000 worth of dental work. Dr. Riechers did a second opinion and all I really needed was $1000 worth of work. I require special care for my visits and I’ve never been disappointed. She’s really there for YOU. I highly recommend her. When I found Compassionate Dentistry I found the best dentist there is. I had a partial upper plate made that they did an incredible job with. Great to be able to eat again. Dr. Sara Riechers is the greatest dentist I’ve ever had. She is an expert in her field and cares about her patients. Her staff are very friendly and they all just make you feel at home. I’m usually not one to recommend anything, but I would recommend this dentist to anyone that asks me who they should go to. “If you are to ask yourself honestly, do you look forward to going to see your dentist? If you answer truthfully and your answer is NO than you are going to the wrong dentist. I Love My Dentist! Everyone was so nice @ the office!I absolutely loved and felt “safe” there and felt part of Dr. Sara’s office- from Bridget behind the front desk to Kim the assistant. Good spirit present in the office, kind gentle spirit especially present between Dr. Riechers and Assistant Sarah. Sara has been very candid on which procedures I need and don’t need. I trust her character as well as her skills. Everyone that works at Dr. Sara’s is the best!!! Very friendly,compassionate and truly make me feel like they care about me. I love my Dentist and her crew!! I would recommend everyone to see them.!!!! 10 out of 10 or 5 stars! Easy going helpful group of employees and Dr. Sara is very thorough and personable. I never feel rushed or pushed aside when they are busy. I actually enjoy going to the dentist. I have always feared the dentist, so I tend to wait until I get into trouble and am forced to make an appointment. Never again! This office lives up to their name, Compassionate Dentistry, here there is no judgement, a complete respect for me as a client, full explanation of the most effective treatment plan, and most of all NO pain. I’m actually looking forward to my next visit. Everyone was very friendly and made me feel very comfortable! One of the best dentist experiences I have had. I appreciate it! Reception was very friendly and efficient. Medical assistant and Dr. Sara were gentle with my toddler and thorough with treatment and explanations. I highly recommend! The entire staff is wonderful and friendly. Thanks for being there for me. I appreciate the information and different options that you present to me. Thanks again!! They are experienced, warm, efficient and genuine. I personally recommend Dr. Riechers to friends every chance I get. My first visit to Dr. Riechers was an emergency as I had a severe toothache. They had me come in as soon as I called and I was seen in minutes of filling out the brief paper work! Honesty between a dentist and their patients, plus the best of care the patient can look forward to getting, is of the utmost importance to me. Very caring and responsive dentist and support staff. I was greeted by a very friendly Bridgette and this was my first time to this dentist office so her kind welcome was appreciated especially since I have a fear of the dental procedures and was very nervous. Kim was friendly and very informative on what to expect and about my options. Her personality made me feel more at ease. Sara was amazing and as gentle as can be expected with extracting a molar 🙂 She was patient and made sure I was not feeling any pain during the procedure. They made sure I knew what to expect when I got home and how to control my pain. I am thankful I finally found a dental office that offers such professionalism while still keeping the friendly and kind side showing. Thank you for allowing your staff to have personality! I just wish you and your staff could double as my primary care doctor and then all would be perfect. Thanks again for the great treatment. Excellent, informative, educational and one of the best dental experiences I’ve had. I skipped the Novocaine and was pleasantly surprised by my painless experience.